Atyaf e-Sports is a Bahrain-based e-Sports organizer addressing the MENA region. It is a subsidiary of T.I.G. Holdings, a technology investment group. Atyaf e-Sports aims to be the leading e-Sports provider in Bahrain and the MENA region, by providing professional e-Sports in both live events and on its online platform. Beyond providing value to its gaming communities and sponsors, Atyaf e-Sports also aims at identifying, developing and coaching emerging regional talent to bring them to the buoyant global e-Sports scene. Turning Bahrain into an e-Sports hub for the region and helping Bahraini gamers into becoming worldwide professional gamers. Play Expo (PlayX4) is an annual gaming exhibition in Korea, where companies from around the world come to showcase their games and e-Sports gamers attend to compete. This year “PlayX4” was celebrating its 10th anniversary by creating one of the biggest exhibitions that meant to strongly reflect on the maturity of the Korean gaming market. A part of the event had 190 game developers, including many start-ups and SMEs, participants and 110 investors and publishers from 15 European and Middle-Eastern countries attending. This enabled the signature of significant export contracts for new upcoming Korean firms. 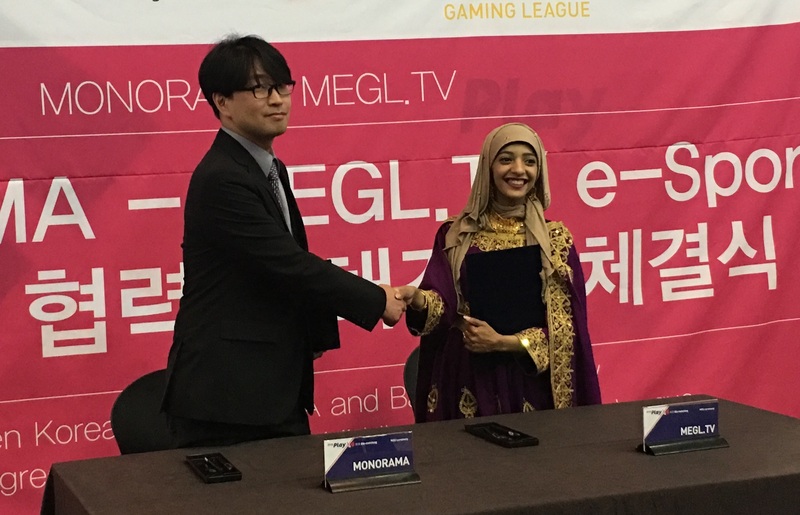 Atyaf e-Sport was invited as a representative of the Arab gaming industry to build a Bahraini-Korean relationship that will expand and create new opportunities for both parties in this highly valued industry. Atyaf e-Sports team had the opportunity to discover the vitality of the Korean Gaming Industry, particularly in the Gyeonggi Province that is home to 6 of the 10 top Korean gaming firms. 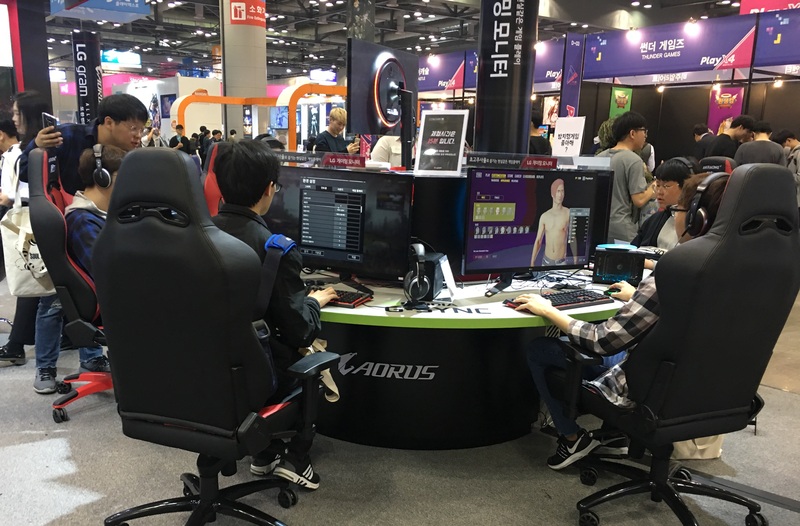 Beside the entertainment aspect, gaming is also a strong export industry for Korea, accounting for 56% of the nearly $100B USD annual Intellectual Property exports. 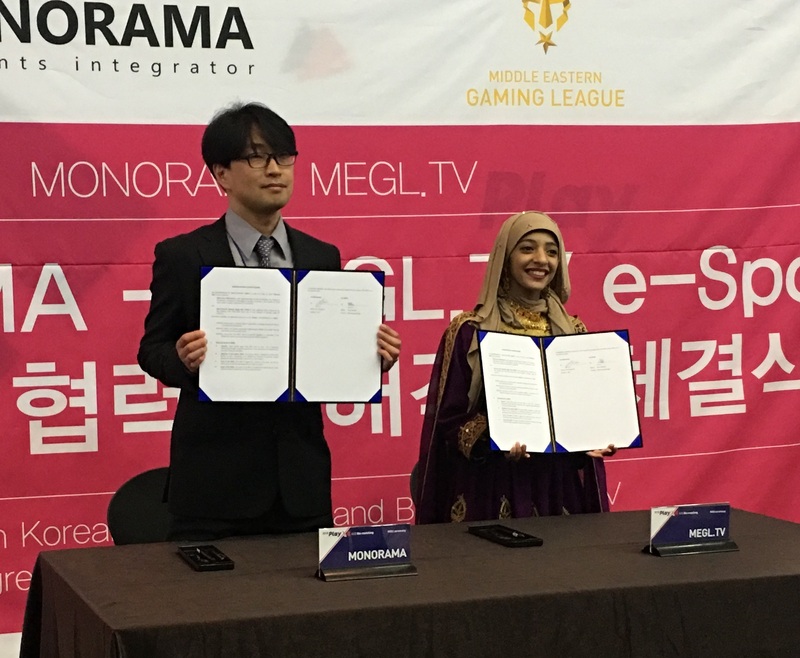 During the event, Atyaf e-Sports WLL signed an MOU with Monorama Co. Ltd, a leading content developer and marketing agency for the gaming Industry, which will enable both companies to boost exchanges between Bahrain and Korea in this sector. This partnership will also benefit Bahrain, as it will expose local talents to the world, create job opportunities and increase Bahrain’s gaming market share as South Korea accounts for 14.9% of the global gaming market share. Many countries such as South Korea, United Kingdom and Canada have also proven that e-Sports gaming can be considered a full-time job and has contributed highly to their GDP. For Atyaf e-Sports team, it was the opportunity to discover Korea and its amazing culture and energy. Noof Abdulla – Marketing Manager of Atyaf e-Sport stated: “We thoroughly enjoyed every aspect of our stay. We were particularly impressed by the great infrastructures and facilities creatives and developers enjoy there. We really look forward to bring more Korean games and culture to the Middle East.”. Adding “Bahrain has the potential to become the next e-Sports hub due to the support it gives to its talents and the large number of passionate gamers it attracts from Bahrain and the MENA region”.